With summer days fast approaching I’m constantly building up my arsenal of ideas for easy crafts for kids. If you are new to my blog (hi, and welcome!) it might be worth mentioning that I am a Mama of four little girls- 8, 6, 3 and 6 months. We are short on time and sometimes on patience and always seem to be short on space to create too. But my girls love crafting more than anything and we are trying to branch out in the projects we get into and things we create. Hopefully as this post grows it will give you ideas that are fun, creative, enriching and engaging to beat the summertime (weekend, school break, lazy afternoon) boredom that sometimes seems to swallow parents whole. Each easy craft for kids will be linked to a separate blog post when available with more details and photos. Many come from my art teacher days (feels like another lifetime!) and many are pulled from things I do at home with my girls. If you ever have more follow up questions come hang out with me on Instagram @sweetersidemom. 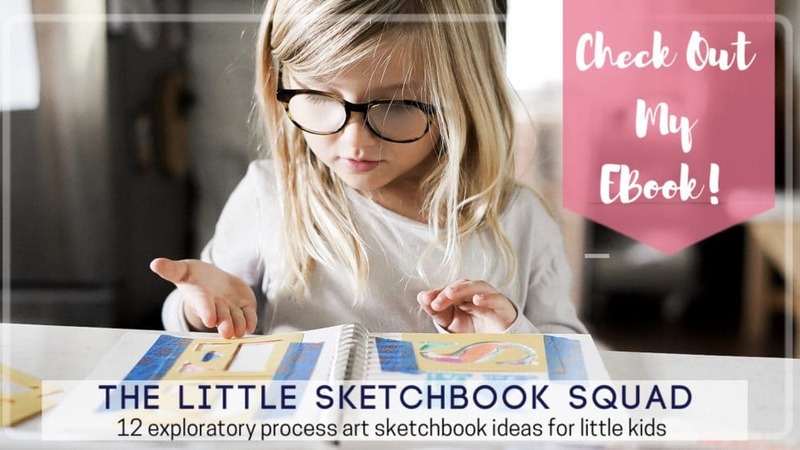 We share all kinds of fun stuff for kids over there and I love connecting with other Mamas looking to make more time for creating with their own littles. All it takes is a little bit of intention and inspiration to let the creative juices flow. Every child is an artist! Cooked Playdough ExperimentsI know, I know! More mess! Sometimes it’s the last thing s Mom wants to do with her kids. But give this a shot. Your kids will have a blast, enjoy this for hours, and the cleanup isn’t even that bad. Upcycled Cardboard DollhouseRaise your hand if you have boxes arriving on you doorstep daily. Everyone? I thought so. This craft needs only one or two of those boxes (bonus if StitchFix has already taken care of ‘painting the interior walls’ of your doll house), a few wooden clothespins, and whatever else you can find around the house. We used painters tape, wine corks, wrapping paper, and popsicles sticks to complete our kid friendly interior decorating. 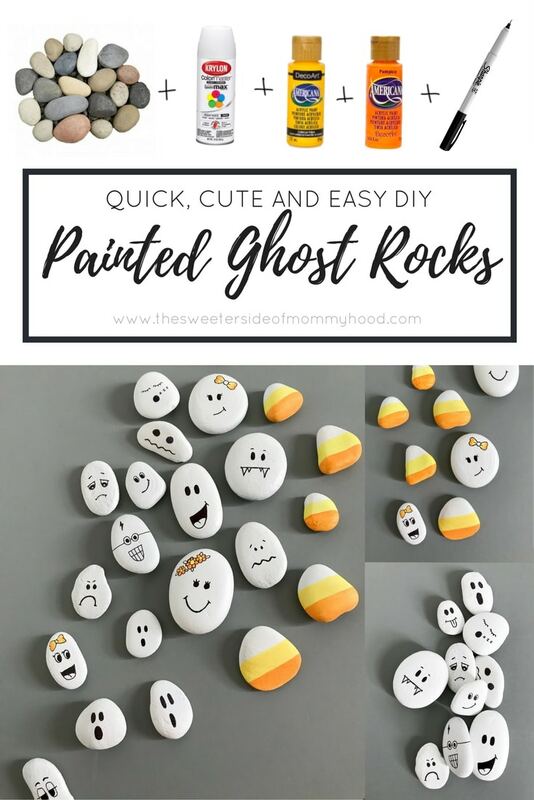 Painted RocksThis easy painted rock craft can be adapted for all seasons and holidays. 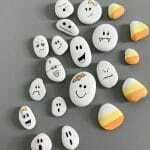 Kids love to collect little things and these rocks are some of my girls’ favorite toys! 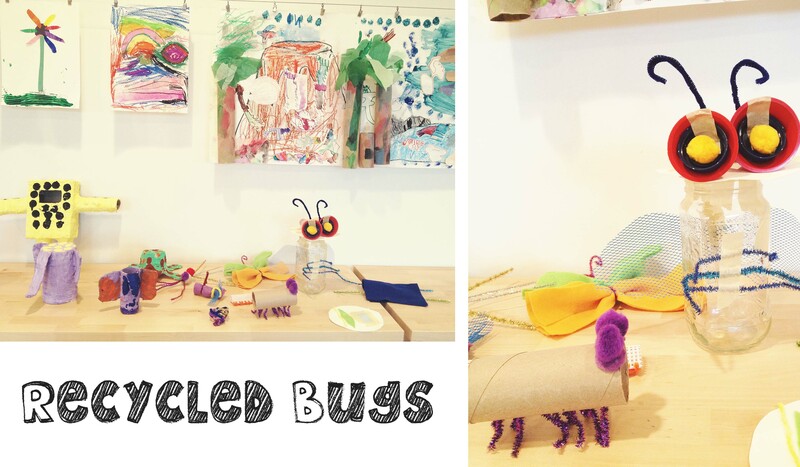 We make ladybugs in the summer, ocean creatures for the sandbox, rainbow M&M’s and more. Keep them all in a little drawstring pouch for easy carrying! 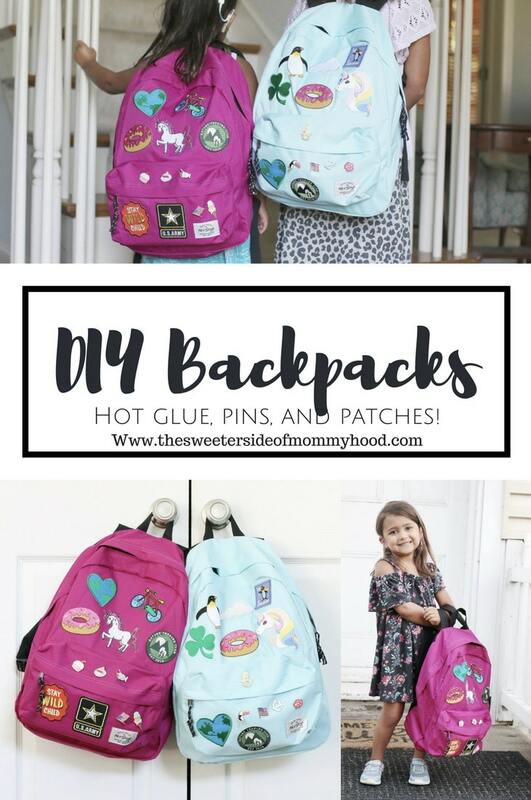 DIY Embellished BackpacksAdding simple patches, buttons and pins to any solid color bag is a great way for kids to personalize inexpensive solid color backpacks. Love how my girls personalities come alive in the embellishments they each chose! Try this project on a tote bag or little canvas purse. 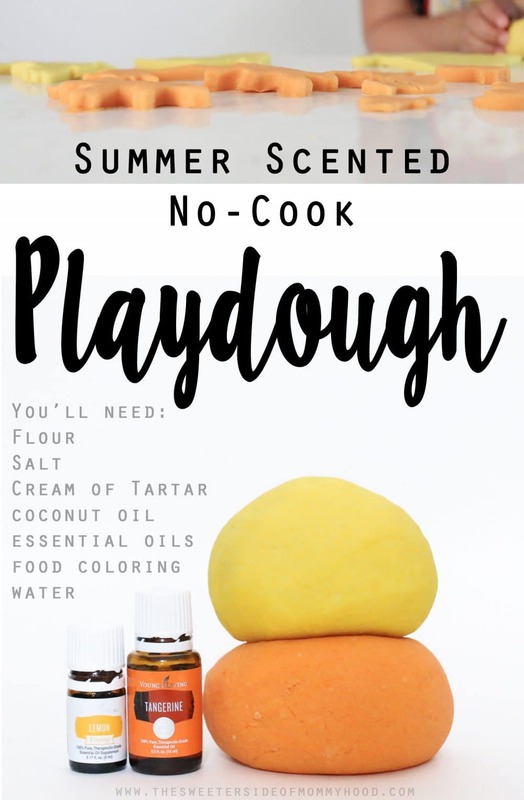 This play dough smells heavenly! It’s easy to make with pantry staples and lasts for awhile in s ziplock bag. Make it at the beginning of summer and enjoy it for months! You can sub in and out and oils that you like. 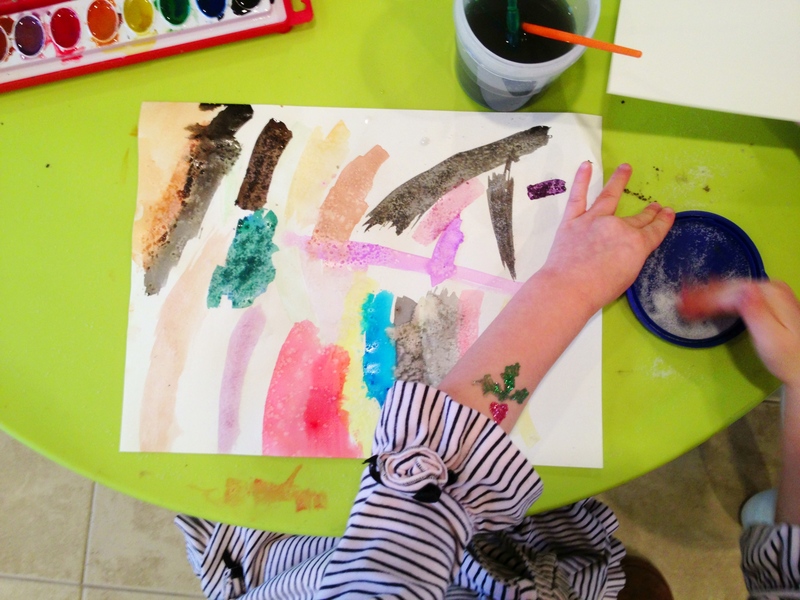 Open Ended Watercolor Play – Watercolors remain my girls favorite material of all time. They can paint with watercolor endlessly, it’s easy to use and (best of all) it’s so easy to clean up. 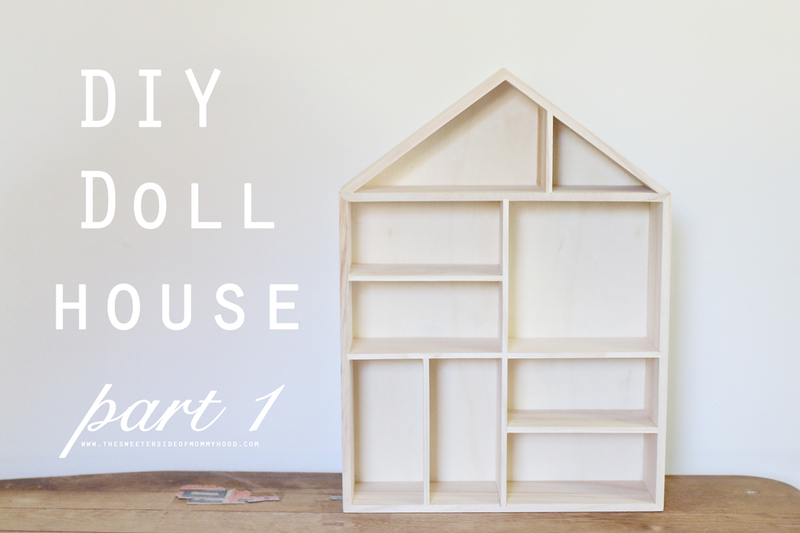 Cheap and easy DIY Dollhouse Part 1If you’ve ever seen (and loved) a “doll house reno” project but been too intimidated to try your own, this is a great project to try with your kids. 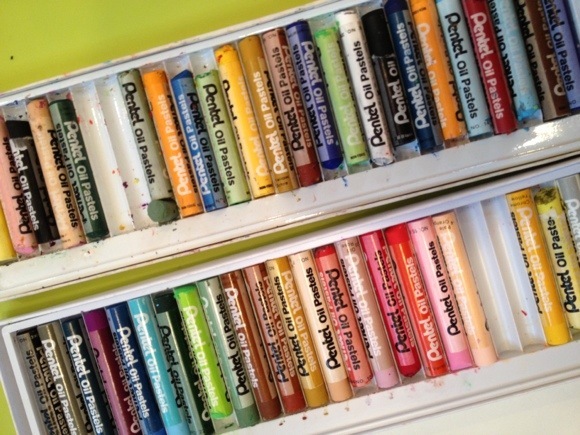 An inexpensive dollhouse bookshelf can easily be transformed into a custom dollhouse with a bit of spray paint and popsicle sticks. 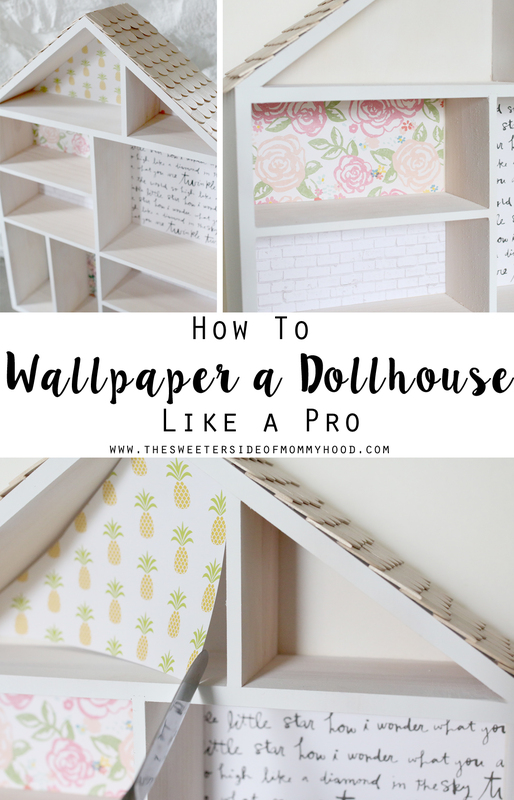 Take your dollhouse reno a step further with the easiest custom dollhouse wallpaper tutorial on the planet. If only wallpapering your real house was as easy as this! So many possibilities to put scrapbook paper to good use. I’ve yet to meet a kid that hasn’t loved fingerprinting giant roll paper. It’s messy and tactile and fun for little ones to “work big”. This easy project is great for a rainy day when you need something more than normal paint on paper. If you’ve got kids who love accessories you might want to get into polymer clay bead making! This easy to manipulate clay is great for little hands and is easily painted after it is baked. 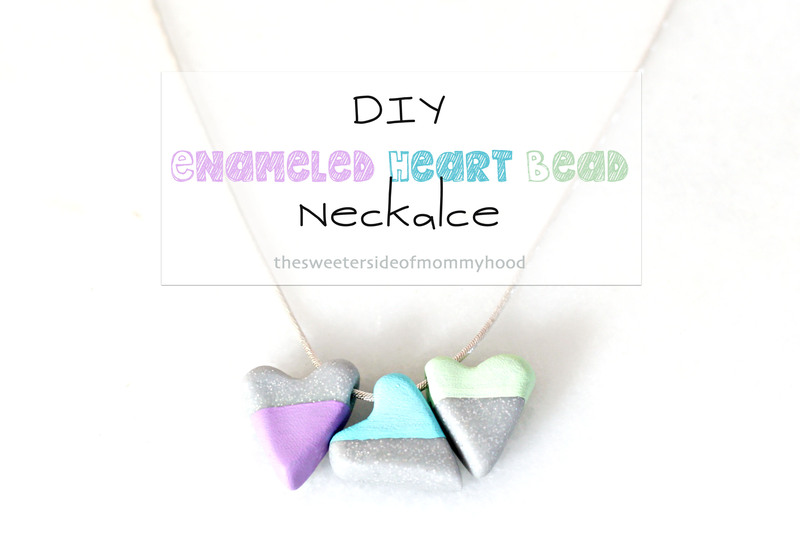 Heart beads are so cute and fun but use your imagination to create any kind of beads you and your children like! DIY Wooden Toy CameraMy girls have always loved to imitate me taking pictures. 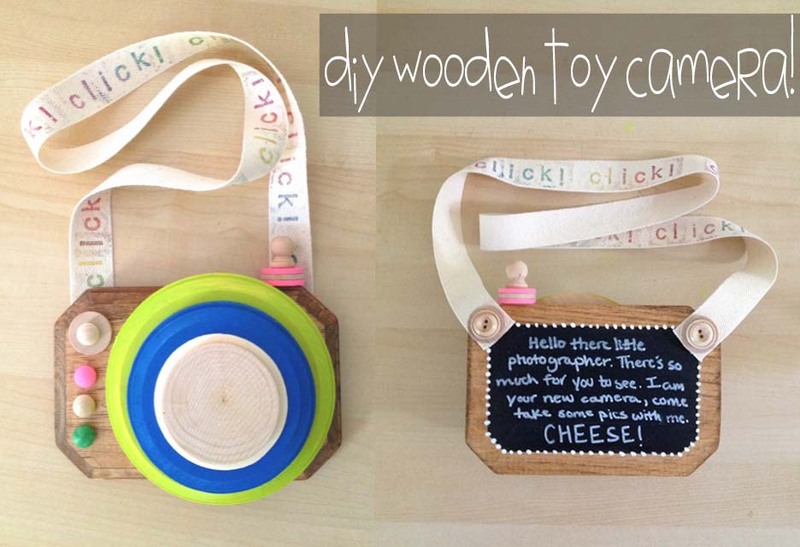 Creating this little toy wooden camera was so fun and easy and something they really enjoy playing pretend with you. You could take it a step further and make pretend photos in Polaroid style! How cute would that be? 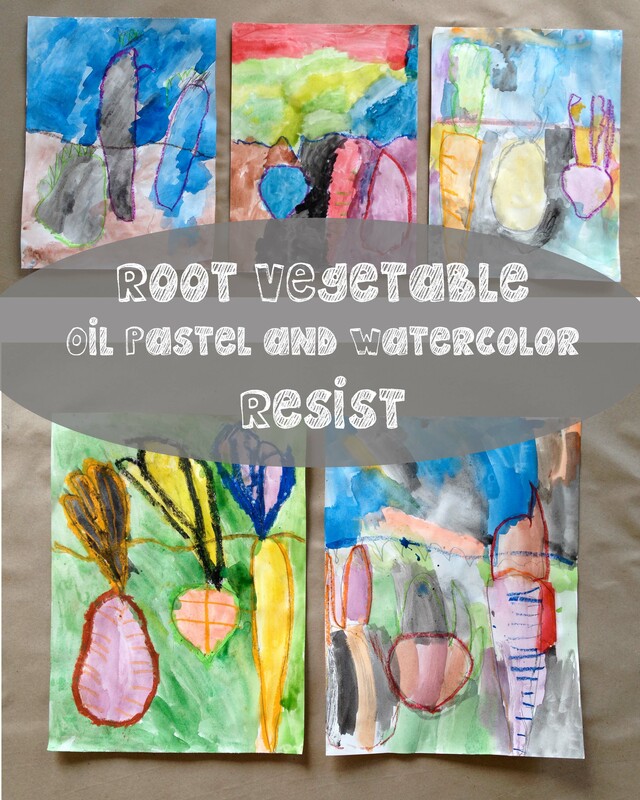 If you’ve got a garden going this summer (or even if you don’t) this reliably fun root veggie watercolor painting prompt is a great way to talk about how these fun veggies grow. What parts can we see? Which parts do we eat? What color are they in real life? The oil pastel resist part is always a highlight for my kids. So bright and vibrant! These DIY Field Journals are the perfect start of summer activity for little explorers. Toss them in your bag with a few pencils, pens and markers and you’ve got an easy on-the-go activity for nature walks, hiking, people watching or any other time that seems worthy of recording. 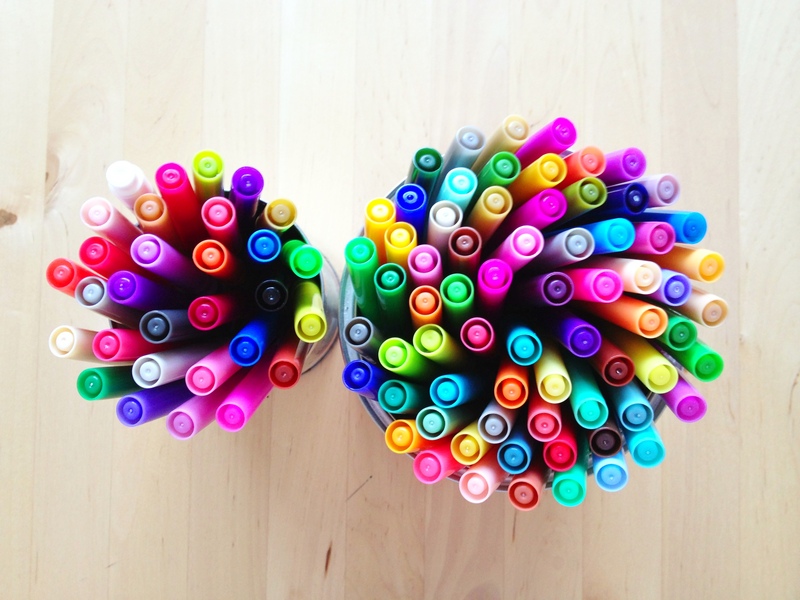 Encourage your children to label their drawings, add explanations, and keep track of dates, places and even weather! If your kids are too young to write, you can add these details for them. Sometimes it’s fun to spend some time looking at famous artwork! Take a page out of Van Gogh’s book and help your kids create a beautiful sunflower still life. 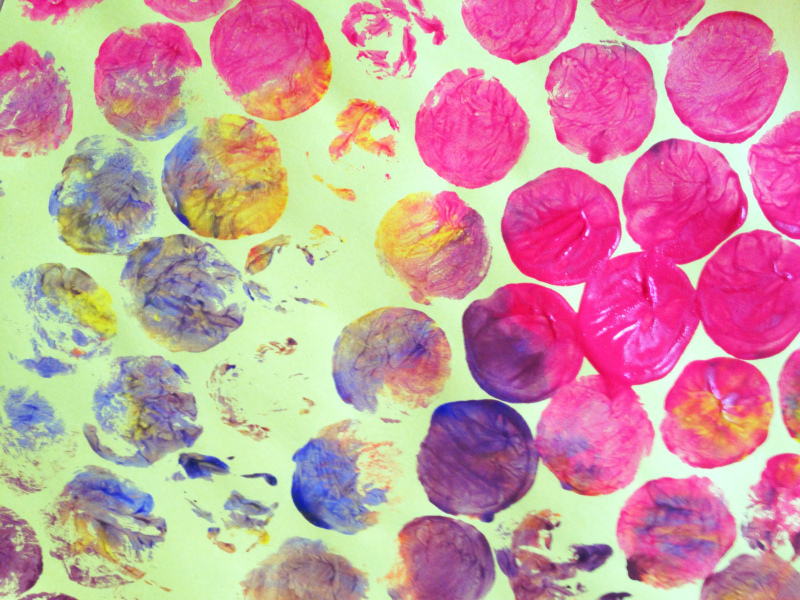 This mixed media painting craft is great when need a project that can work for multiple ages. 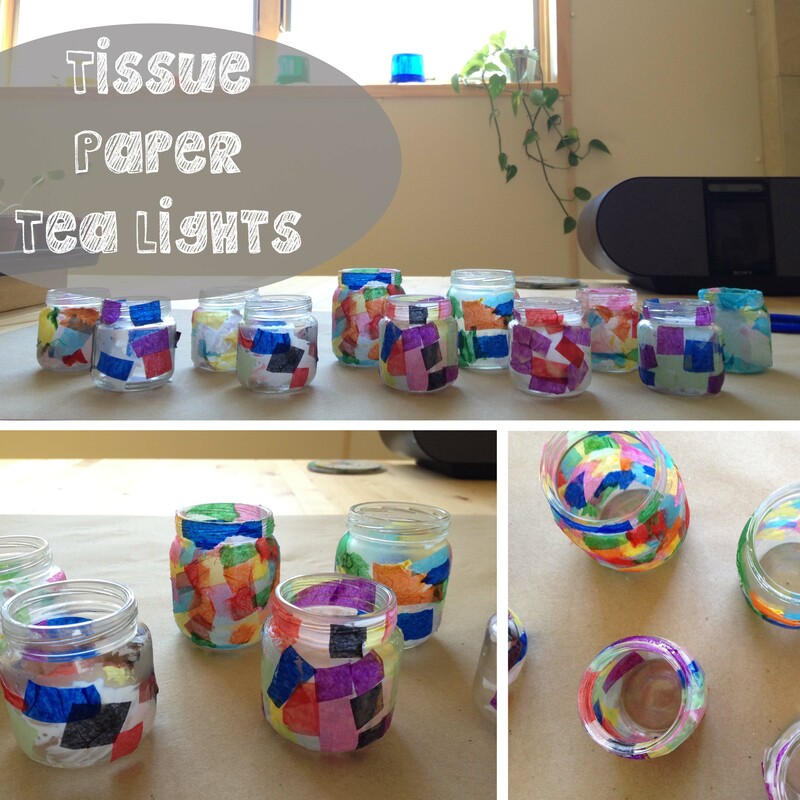 If you don’t have mini glass baby food jars for this tea light project try small mason jars. And grab the big jar of modge podge- you’ll put it to good use! If you want to make these kid safe use electric tea lights inside. Little kids love this tinker style project. Make an example bug with them then set them loose and see what happens. Be ready to help tape, glue and staple to make their creation come to life without falling apart! This is a great supplement to learning about bugs. Its projects like this that make me want to hoard and save all the scrap papers. Take some time to make marks on different papers with different materials. Then revisit the project and cut all those papers apart. Great scissor practice! 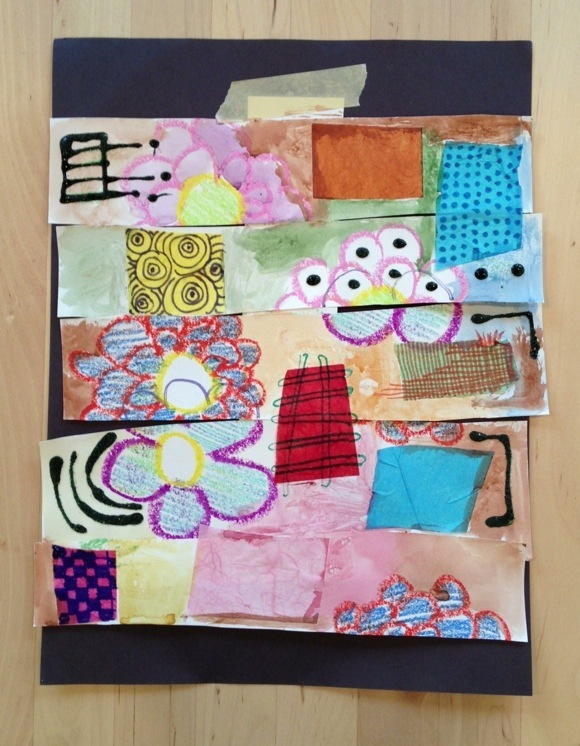 Give every child a big glue stick and let them put pieces back together to create a new collage. You’ll be surprised by how awesome their final projects will look! Grab a couple dinosaur figurines and take an afternoon to create a Dino habitat with things you have in your art bin. 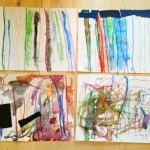 Paper towel tubes, tissue paper, paint, crayngs, markers. Guide your kids to create different areas- mountains, a lake, even a volcano! 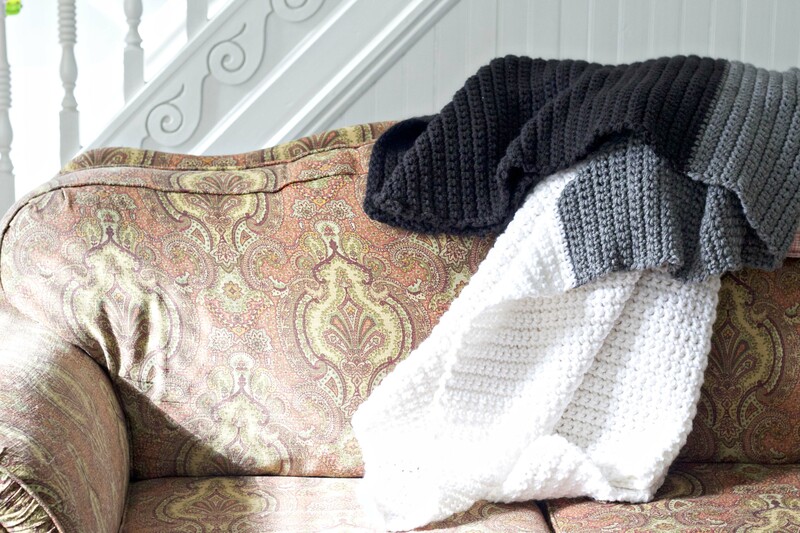 Some days you need a craft idea that will last a few mornings over. 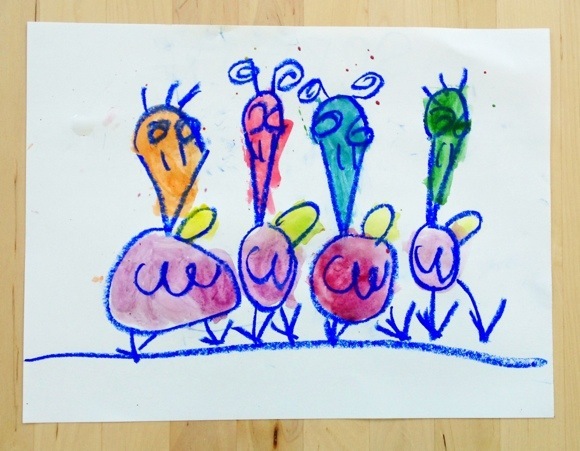 These quirky oil pastel birds are a great multi step art project to keep your kids interested. You can start with the watercolor stripes as the background and while they dry move on to drawing the birds. Use dark pastels for the lines and concentrate on big defined shapes. 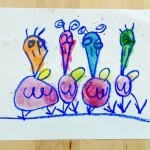 Color in the birds with whatever your kids want to use. Chalk pastels, markers, neon tempera. When the birds are complete cut them out and add them to the striped backgrounds. 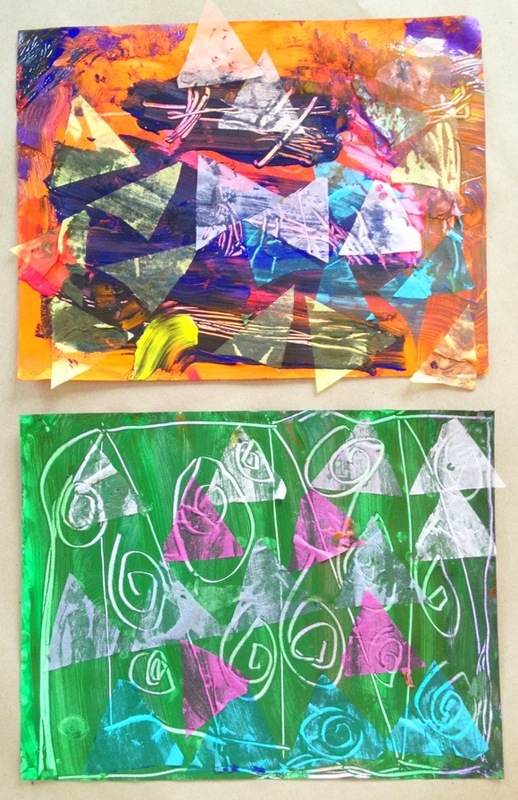 Turn sheets of aluminum foil into a really fun way to mono print! Grab the acrylic for this one- it’ll give you the best effect. Roll the paint on in an even layer then use q-tips to draw into the paint. Press a sheet of high quality watercolor paper onto the painted surface. Peal away the paper and prepare to be amazed! 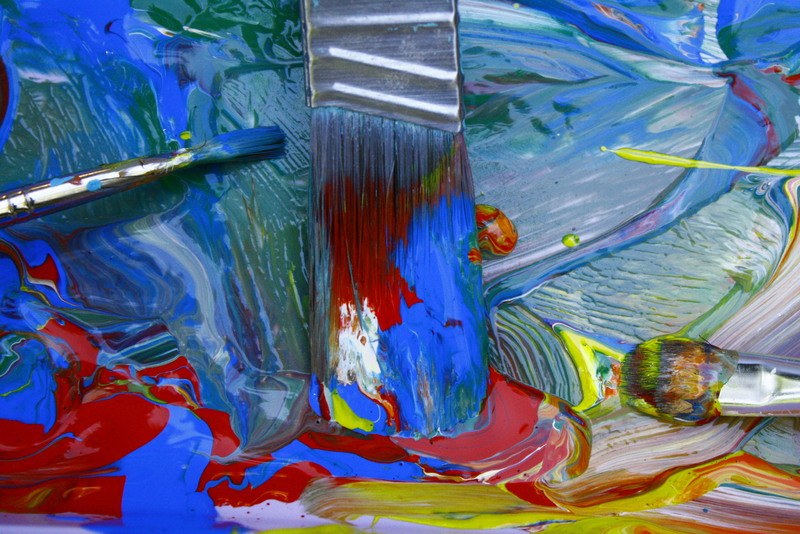 Pull up some images for your children of artwork by primary color lover Mondrian. 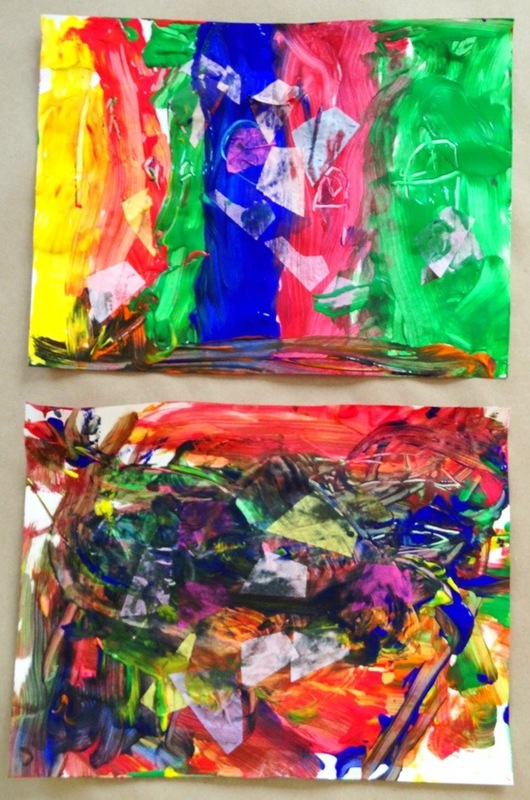 These square and shape based artworks are a great introduction into primary color theory and color mixing. 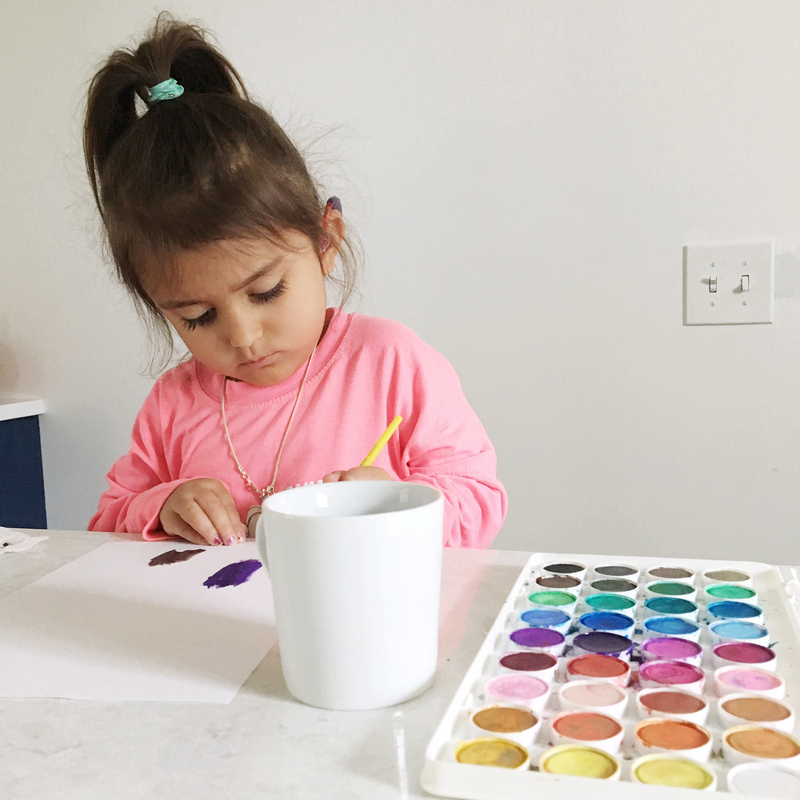 You’d be surprised how much your little ones can learn about from an afternoon of crafting with Mom. I hope you give this one a try! If you’re feeling adventurous, create similar works of art in air dry clay. It’s a fun and different medium to try (find some good options on amazon). Save some rimmed box lids (like shoe box lids) for a marble painting project. This project always gets messy so I recommend using warm colors OR cool colors but not both. If you mix the two you’ll get a muddy mess which isn’t fun! Use the marbled paper to create these marble bellied owls or come up with your own idea for turning the marble paper into something else! Eric Carle needs no introduction! Use your favorite EC storybooks as a Segway into this great layers project. 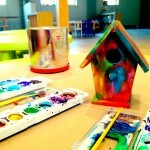 Before you bust out the paint, sit for awhile and tear or cut up tissue paper into small pieces. 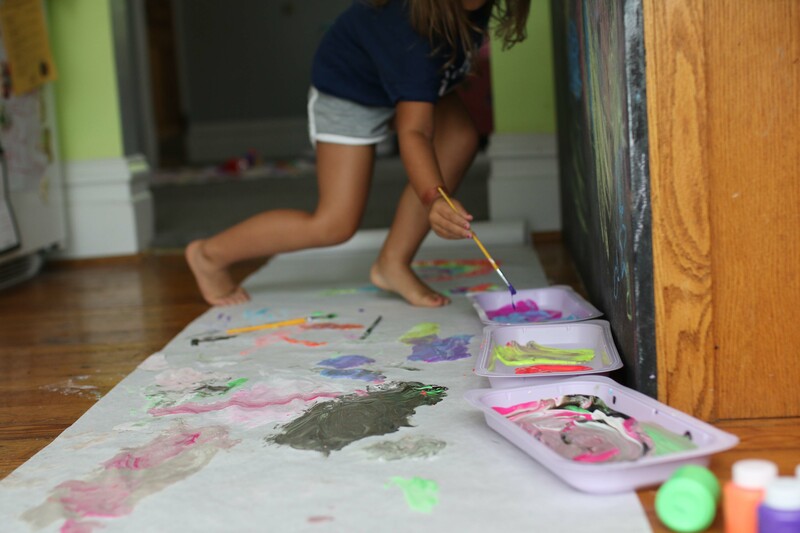 Then let your kids loose with paint for a little while. Add the tissue paper right into the wet paint. Keep adding layers as you like or let the pieces dry in between. If the paint layers dry completely you may need to use glue or modge podge for the tissue paper layers. Who doesn’t love a good ice cream project? 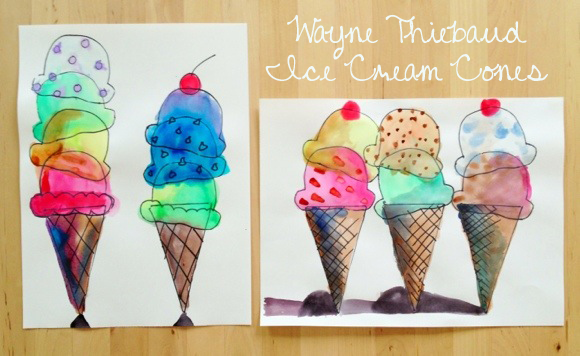 Wayne Thiebaud is one of my personal favorite artists and thanks to some cardboard stencils these ice cream cones are the perfect easy craft for kids. Let them make as many scoops as they want! You could make stencils into ice pops or slices of pie. Oh the humble birch tree. 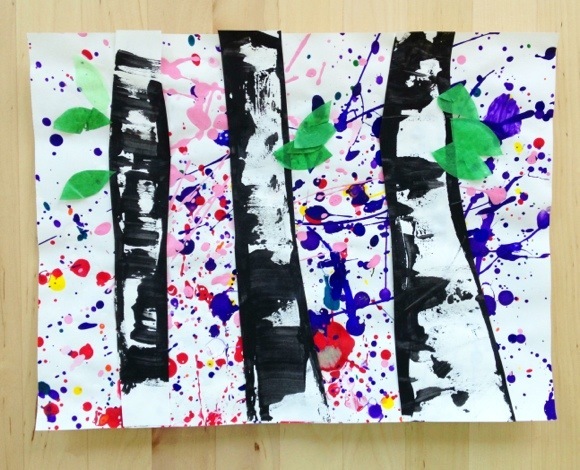 Show your kids how to drag cardboard dipped in paint across their paper for the birch tree effect. These black and white timbers look awesome on their own or cut out and placed onto a fun splatter paint background. If you’ve got nice weather take the kids out side for the splattering! Cut these bird shaped pieces out ahead of time. Add marker details on top of the construction paper at the end. Lines, dots, patterns. 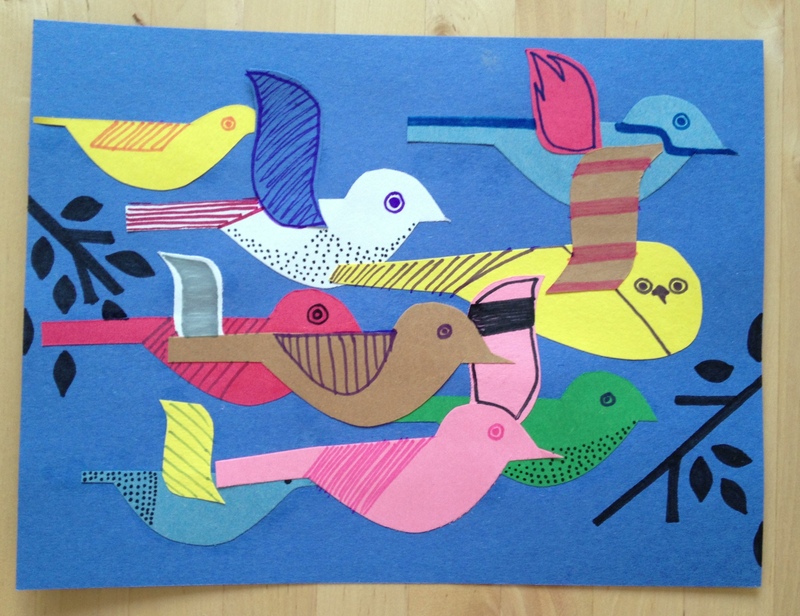 Charley Harper is one of our favorites! Watercolor and rock salt is a match made in heaven. If you don’t have rock salt on hand table salt can work too. I don’t give the kids too much direction with this easy craft- just let them explore on their own. 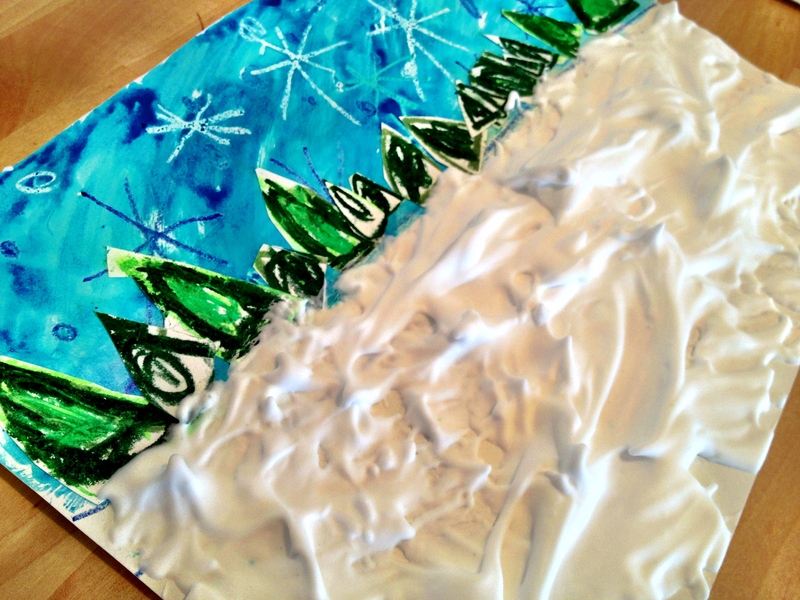 Shaving cream and white craft glue mixed together makes a wonderful “snow” paint. Sprinkle glitter on top if you dare. While the snow paint dries make oil pastel trees and paint an icy blue sky. You can buy really cheap ceramic tiles from any home improvement store. Drawing on them with sharpies creates a lasting image. You can back these with felt or cork! Bonus- these make a great gift! Ive been known to hoard bubble wrap but not for packaging! 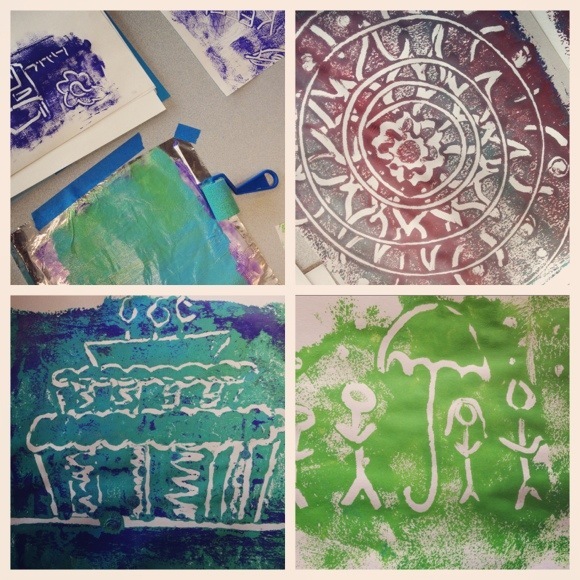 Bubble wrap prints are a really cool and unique way to explore printmaking with kids. When the bubble wrap is dry it makes a really interesting collage item too. Don’t throw it away! 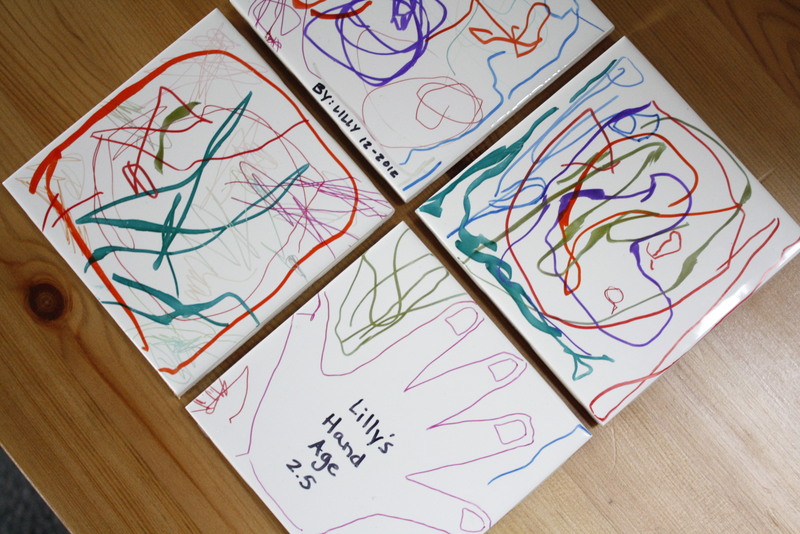 Collaborative Canvas Project – Great for Parents and Kids to Create Together! 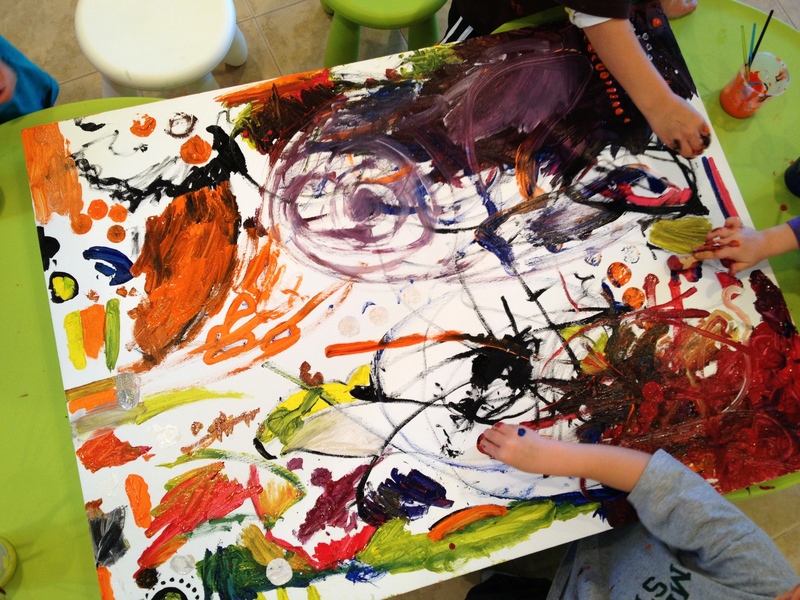 One giant canvas can offer hours and hours of fun for a group collaborative painting project. You can revisit this canvas again and again. In between painting sessions hang it up on the wall to enjoy it’s progress. It doesn’t ever have to “be finished”. 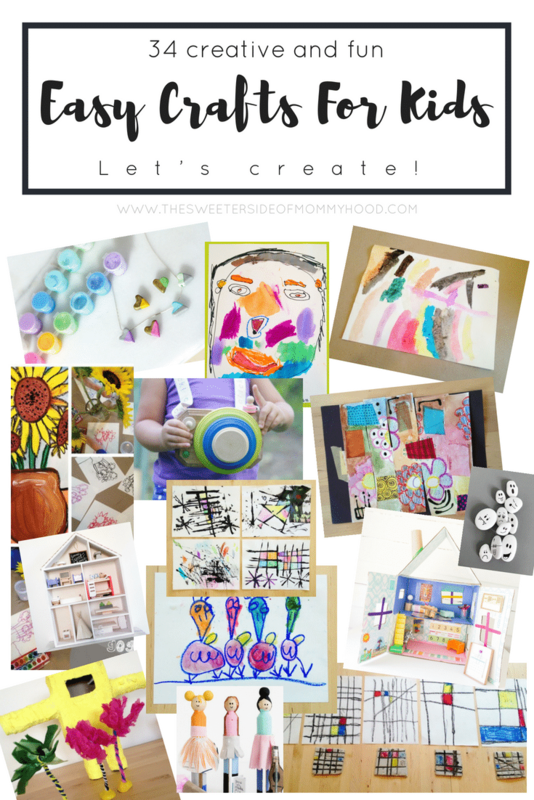 I hope you’ve gotten some inspiration here for easy crafts for kids! I’ll keep adding links to this post as we expand our exploration into different art materials and processes in an easy way right at home. Remember, every child is an artist and every parent can help them to create! Happy Making! 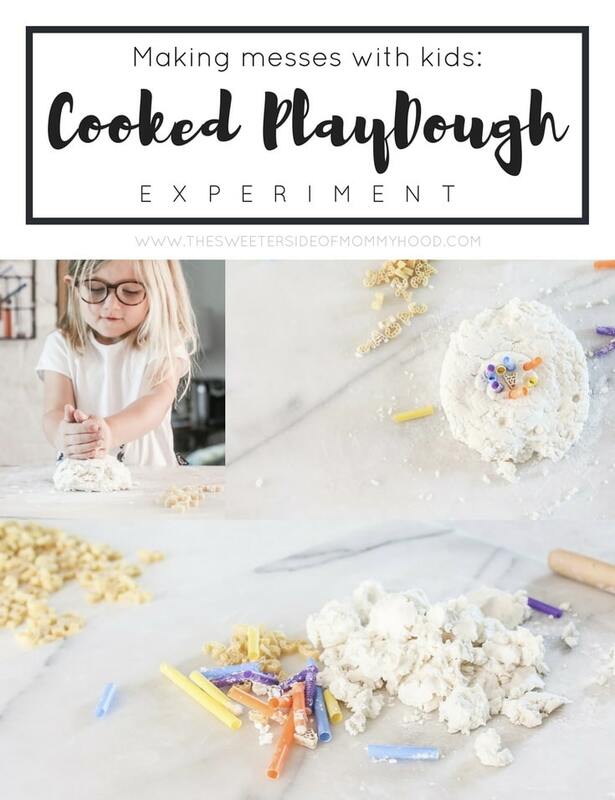 « Fun and Easy Crafts for Kids : Experimenting with cooked play dough and messy hands.